Thank goodness for Moms, who are so good at saving things from our childhood. In this case, we’re talking about one of the first woodworking projects that George ever made, way back in his junior high school days. 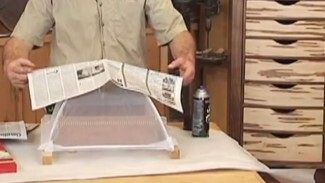 Here’s a throwback to how George got started in woodworking, leading to what he’s doing today. Although it was a simple project, it included a variety of woodworking tasks, all done by hand. Never underestimate the influence a teacher can have on someone’s life. For George, Mr. Mathis was more than his junior high shop teacher, he was a mentor, and had a huge impact on George becoming the woodworking instructor he is today. If you had an influential teacher in your life, please take the time to tell them about the positive effects they had on you. 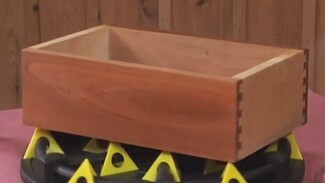 The project George shows in this video is a great example of an introductory level project that teaches a lot of basic woodworking skills. Beginner woodworking projects should be pieces you can make with the tools you have, but should also stretch your skill set and comfort zone a little. 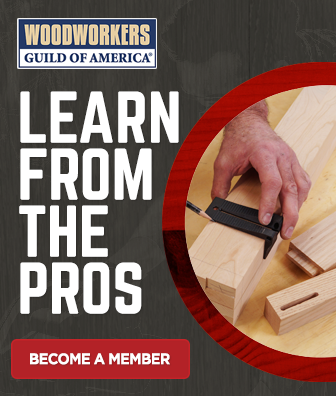 No matter what kind of woodworking project you might be looking for, WoodWorkers Guild of America can help you out. 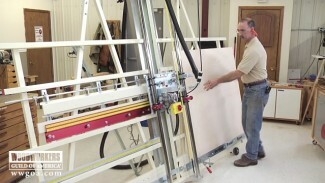 We offer projects from beginner to advanced in furniture making, cabinet making, lathe turning, and more. The simple tray in this video shows the importance of holding onto some of the things your kids have produced over the years. How great it is, as adults, to be able to look at these items, and remember the paths they helped us get started on. Interesting George.. I do not have any childhood projects but I do have a wooden box made by my father back in the mid 1940’s when our family moved from one town to another. He made about 20 of them, different sizes, all with locks and painted. This one serves to store seldom used tools now but it is still just as solid as the day my dad made it. George, did that bring back memories! You’re a few years younger than me, but I had much the same experience as you did in Jr. High in South Milwaukee, Wisconsin. I wrote about it in a blog post last year -https://mattnp2.wordpress.com/2015/11/27/wood-shop/. Thanks for sharing that. My mom kept my projects, too. When she passed I got them all back, A cutting board, a knife rack, and couple of other small things. Thanks for sharing.